nikakihijau: Nexus 5 reportedly launch in early November? Hi friends out there. Something really caught my attention. My intel says that Google Nexus 5 will launch as early as November after reading it at various sources from the internet. A new colour to Nexus family? Nexus 5 should be good. One of my best friends own a Nexus 4 before. From his experience, he said the phone is superb compared to other Android devices. The white colour looks great apart from the original black colour. Design wise probably similar to the Nexus 4 except for the size. Feature wise I think similar with Nexus 4. Perhaps new addition will be embedded into it. 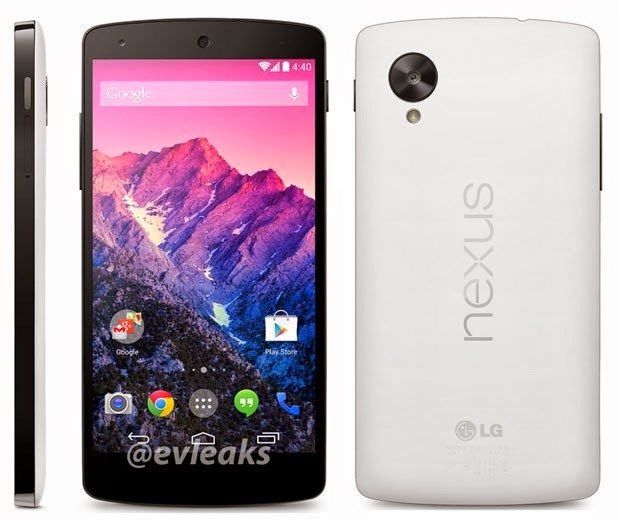 No doubt Nexus 5 will be a hit comes Christmas 2013!